An ‘80s revival. 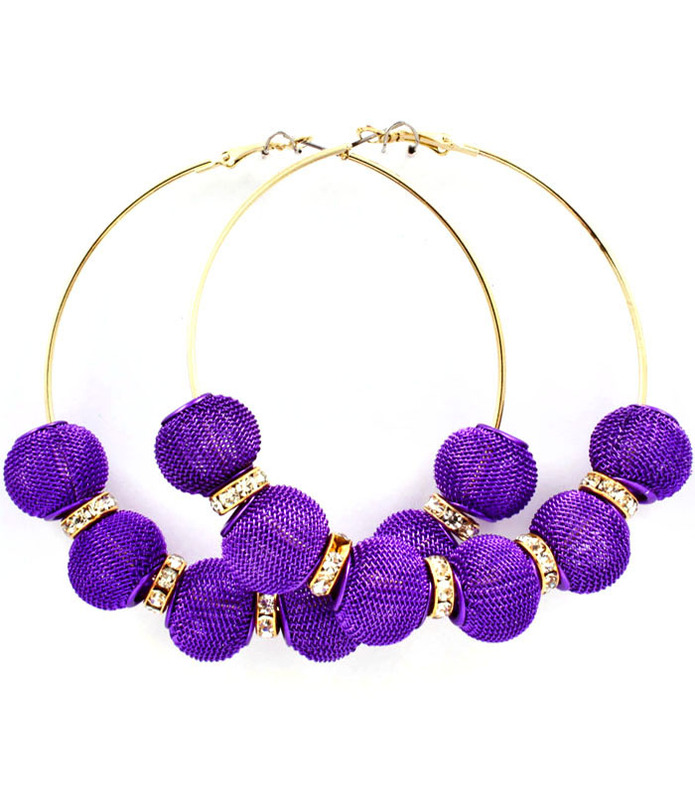 The Alison Earrings feature vibrant purple mesh ball beads and rhinestone spacers on fine gold hoops. It’s a total party for your ears.